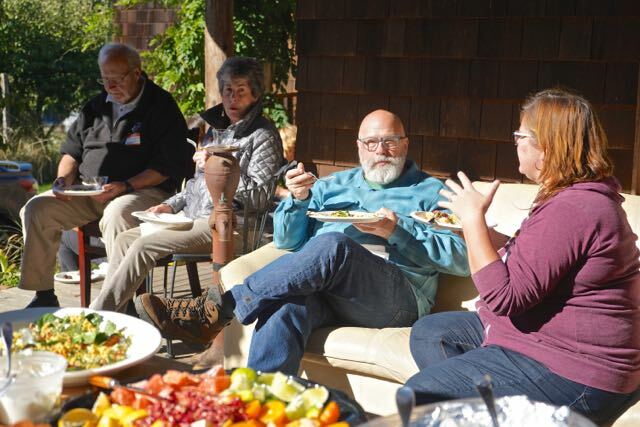 Introducing Slow Food Seattle Community Dinners, a member-driven program to empower all to cultivate connection through meaningful conversation around the table. Community dinners are a powerful tool to strengthen our communities, and we would like to create more opportunities for people to gather, connect and share good, clean, and fair food in neighborhoods all across Greater Seattle. And we are inviting you to host or co-host a dinner in the spirit of building our Slow Food community. Slow Food Seattle Network. Sign up by filling out our online form. Our committee will work with you to plan the evening and create the invitation. Then we’ll share the details through our media platforms and organize the dinner guests through Eventbrite. DIY. We’ve curated some Slow ideas and helpful tips for you to use to host a convivial meal on your own timeline with guests from your personal network. Ideas for your Community Dinner. We understand that hosting a dinner requires generosity of time and resources, and we certainly don’t expect you to do it alone. Asking a friend to co-host is a great way to share the responsibilities. Also consider asking your guests to share the cost of ingredients or contribute in other ways, like bringing food, beverages or stories. Reach out to other community members to briefly speak or lead a lively conversation. Remember to take and share photos of your dinner. Encourage guests to share the experience on their social media pages. Send photos to us and we’ll do the same! Whether you’d like to host a dinner with Slow Food Seattle or on your own, feel free to check out our online resource of Slow Food themes, program ideas, and conversation tips to get your creativity flowing. To volunteer to host a Slow Food Community Dinner, submit our online form. We can’t wait to hear from you!